What’s in a name? Well, when ULTRAKICK comes at us with the suffix “Kick”, we kind of have an idea of what it’s going to do. When it also contains the word “Ultra”, we expect it to be a little over-the-top. 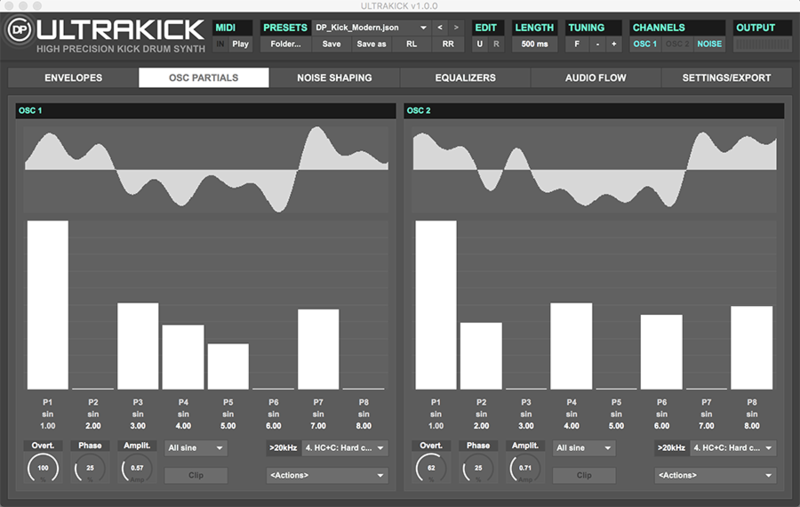 While this Max for Live device might seem to be singularly focused on kick drum creation, it turns out to be one of the most powerful percussion toolkits available in the Ableton environment. In a recent (and over-played) YouTube ad for his Masterclass course, I caught Armin Van Buuren talking about the importance of the kick sound, stating that “It’s the Holy Grail.” This is exactly why a device like ULTRAKICK is needed – it’s focuses attention on a part of music production that needs highly optimized tools. 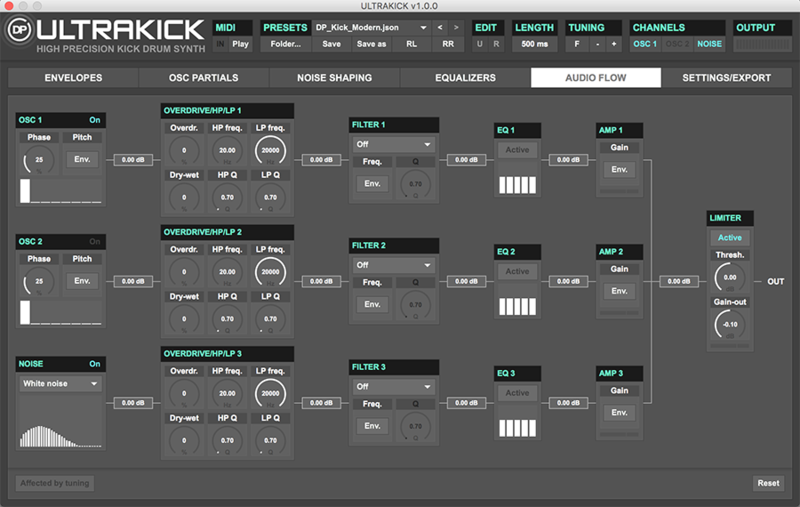 In the case of ULTRAKICK, you begin with a pair of complex oscillators, modulate them (along with some noise) using eight independent envelopes, then shape/EQ/mix from there. With that, you end up with a device that is a perfect laboratory for percussion sound design. The sounds coming out of this device can range from pedestrian to amazing - mostly because ULTRAKICK preferences exploration over preset surfing. In fact, it only ships with a few (7) presets; this offers you a little programming inspiration, but not so much content that you slip into preset-punching hypnosis. Instead, you are drawn into percussion-focused development, and for that function - it excels. The design of the audio engine is really smart, and is an expanded version of the kind of voicing that you’d find in an analog drum synth. The noise source and each of the oscillator gets run through individual overdrives, filters, EQs and VCAs before getting mixed (and level-limited) for output. The sound sources each have their tweaks: pitch multi-point envelopes and 8 user-selectable harmonics help ‘complexify’ the oscillator tones, while a frequency shaper allows you to craft anything from a hiss to a roar out of the noise source. The EQ is equally complex, with high- and low-shelving as well as 3 peak/notch bands. Finally, the whole thing gets output as a playable sound based on incoming MIDI notes… but it doesn’t end there. In a brilliant move, developer Daan Pothoven gives you the opportunity to export the sound as a WAV file, making it a great tool for sample development for non-Max/Live situations as well (hello, MPC!). 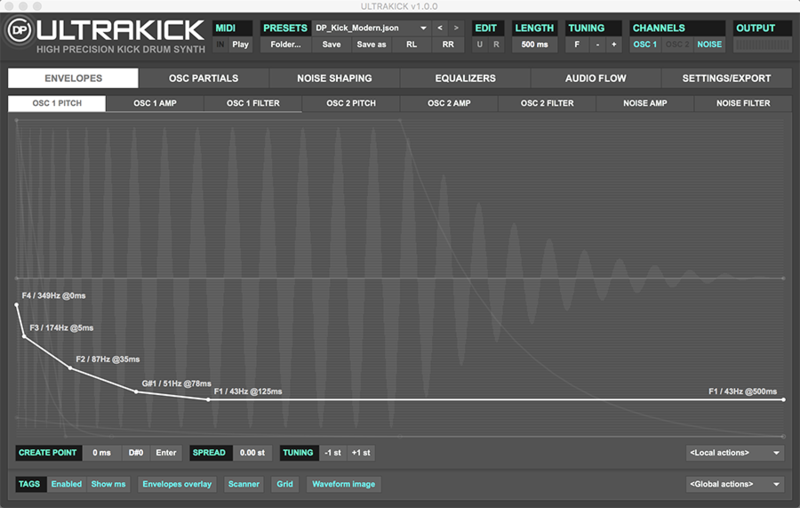 I’m having a world of fun with ULTRAKICK; you see, I can never seem to have enough percussion sounds. This is a device that rewards creativity, but is also a keen solution when you need to dial in a Just Right drum track. My only concern is that it is easy to get lured into endless drum design sessions; but to me, that sounds like a party! In addition to their website, check out the ULTRAKICK in our projects gallery.